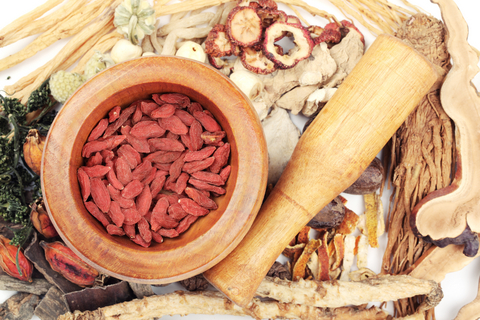 Hot flashes, Traditional Chinese Medicine & JQF – it is time for an Rx change? 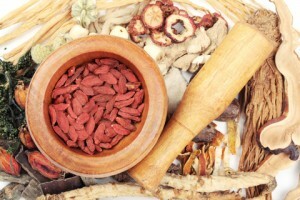 Home » herbal medicine » Hot flashes, Traditional Chinese Medicine & JQF – it is time for an Rx change? I am a huge fan of Traditional Chinese Medicine (TCM), having used various preparations over the past 20 years for numerous ailments. These preparations have been prescribed by a practitioner who is licensed and degreed in TCM and my experience, albeit anecdotal, has been nothing but positive. In fact, I have been using a TCM formulation for several years now to help battle numerous symptoms and in combination with other prescribed herbs, I’ve mostly won. That’s one of the main reasons that I am always intrigued when I stumble upon well-designed studies that demonstrate benefit, like this one in the journal Menopause. TCM and other similar philosophies emphasizes various body systems that together, form a network or grid connected by a meridien, if you will, as well as the relationship of the body to its social and natural environment. Its primary focus on maintaining health and enhancing the body’s ability to fight off disease. TCM will not focus, for example, on treating specific pathogens but rather, on addressing non-specific factors that create disturbances or imbalances within a certain network. TCM also examines how these imbalances may occur in unique parts of a specific system, such as the heart and blood vessels and small intestine (all of which are part of the heart system) and how they change over time. Western medicine, on the other hand, focuses primarily on treating morbidities, or symptoms related to various conditions and diseases. You can read morerabout TCM in this post from last September. For this study, researchers used a formulation based on QEF known as Jiawei Qing’s Fang or, JQF, which used two of the four herbs (Cortex Eucommiae, Fructus Psoraleae) mentioned above. In JQF, they are combined with the herb, Salviae Miltiorrhizae, that has been used specifically to treat gynecological disorders and has properties that are similar to SERMs, drugs that mimic estrogen but are theoretically safer. The 72 women participating in the study were all perimenopausal and had severe and frequent hot flashes; they were randomly instructed to take JQF or placebo daily over 8 weeks. For a month thereafter, symptoms were evaluated using a menopause measure that looks at vasomotor, physical, psychosocial and sexual health). The women also kept daily diaries to record the frequency and severity of their flashes. Notably, this is one of the first times that perimenopausal women have been the focus of a study that involves TCM. Moreover, in this study, researchers selected a formulation that worked on the kidney and also contained an herb that not only mimics SERMS but also improves blood circulation. And the findings? Women who randomly took JQF not only experienced significant improvements in their hot flashes, but also reported improvements in quality of life in terms of the impact of vasomotor and physical symptoms. Moreover, because Salviae Miltiorrhizae works on blood circulation, they also had reductions in the blood fats (triglyerides) which means that the formulation might also be beneficial in terms of heart disease prevention in menopausal women. Is it time for a change of Rx for the change? Should you be seeking out a practitioner who can prescribe JQF and advise you on its best use for you? Or is it too early? JQF was well tolerated, although two women were found to have liver measures negatively affected in ways that did not require any medical intervention but did raise a few red flags and calls for more study. JQF represents a seemingly scientifically proven alternatives to hormone therapy. It’s refreshing to watch TCM come out of Asia and be increasingly incorporated into Western philosophy. Fascinating! I’m passing this around to friends I know who will find it interesting. Thanks! Between traditional and laboratory generated medicine, I am on the neutral side. There are healing powers in herbal medicine that aren’t present in laboratory generated medicines. and the same goes with the other. I couldn’t agree more. Thank you for taking the time to read and comment!